There is no better way to say “Thank You” or celebrate a holiday event than to give the gift of handmade deliciousness made from all natural ingredients. The online cheese gift baskets and assorted boxes that you can purchase easily in our online cheese store offer an all natural, fantastic gift item(s) that you can give to loved ones, friends, co-workers, and colleagues. Gift baskets are always a hit! Everyone loves food; especially, delicious and handmade foods. We can ship our cheese gifts online to anywhere! If you prefer, you may order online and have the cheese gift box shipped directly to the recipient. Looking for a specific price point? We have assorted boxes including smaller boxes of two bars of handmade cheeses to large cheese gifts online that contain a plethora of different cheese and an array of cute gift items inside including special sausage! 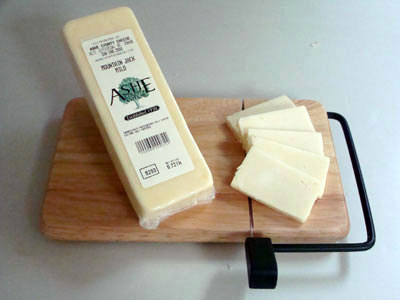 You can find Cheese gifts online for under $11 before tax! That’s an amazing savings. We also carry larger assortments boxes that include everything you need for a nice picnic including crackers, cheese, sausage, jams and more. You will definitely find a cheese gift at whatever price point you are looking for. You can customize your gift boxes as well! We are known for our diverse cheddar varieties including Cajun cheddar cheese, Garlic cheddar, and our Caraway cheddar as well as various other types of cheeses including our cheese curds online. We do not limit our cheese architects. Our historic cheese factory has been offering savory, handmade cheeses since 1930! We are always looking for new cheeses to create and things to try. For a complete list of our holiday cheese baskets, click over to our online cheese store and view the Holiday Cheese Gift Boxes that we have currently for sale. You can pick what cheese are included in the box or basket and select other items as well depending on the box that you choose. If you have questions, please contact us. We are continually adding new items!